As we become more interconnected, and express ourselves in a more similar way, what does this mean for our differences as people, cultures, and communities? 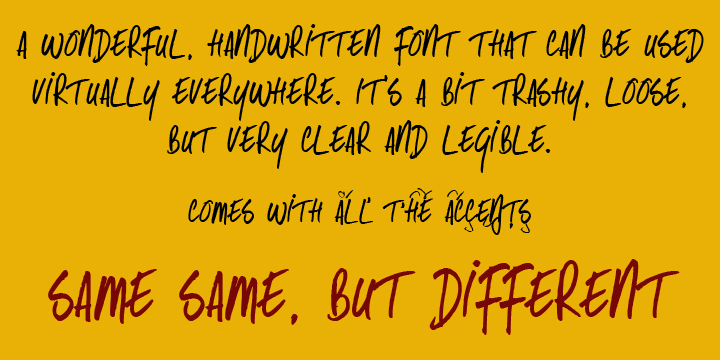 I found the image above on Fontspring.com through a google image search for “same different”. I also really liked the image below. 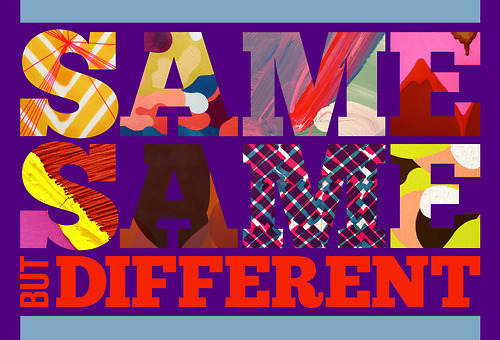 Same Same but Different is an exhibition collective comprised of Brooklyn artists Jay Gaskill, Fabian G. Tabibian, and Amanda Valdez. Learn more on their Tumblr or their official website. This entry was posted in Questions and tagged America, China, Communities, Cultures, Different, Facebook, Om Malik, People, Questions, Same, Same Same but Different, Twitter. Bookmark the permalink.